Divinity Designs, LLC Blog: A Big Thank You to Lori and Helen! A Big Thank You to Lori and Helen! Sadly, both Lori Ulrich and Helen Gullett are both stepping down from ODBD Design Team at the end of December. 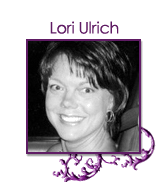 Lori started out many years ago as a member of the ODBD Challenge Team and then moved to the Senior Design Team. We appreciate the many fabulous projects that Lori has created and shared over the years using ODBD products! 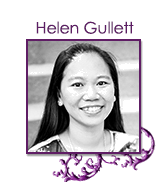 Helen was a Guest Designer for ODBD for a few months in 2016 and joined the Senior Design Team for the 2017 product releases. You could always find Helen sharing her creative projects using ODBD products on Social Media! We want to express our sincere gratitude and appreciation to both Lori and Helen for sharing their time and talents using ODBD products! What a great loss! I wish them well! Miss you already, Sistah's! Mwaaaah!!!!!! So sorry to see you both leave, but hope you'll keep in touch!!! You will be missed!!! Good Luck to you both. Thanks for the inspiration!